With so many painkillers ready at our disposal, we often don’t know when to use which. In a spot of bother, we open our medicine cabinet to find an assortment of half-used painkiller boxes and often just pick one at random. Which painkiller should we use when? Does it matter which one we use? Well, today I’m going to attempt to answer those questions, and I hope it’ll help to smooth out any crinkles of confusion you might have. 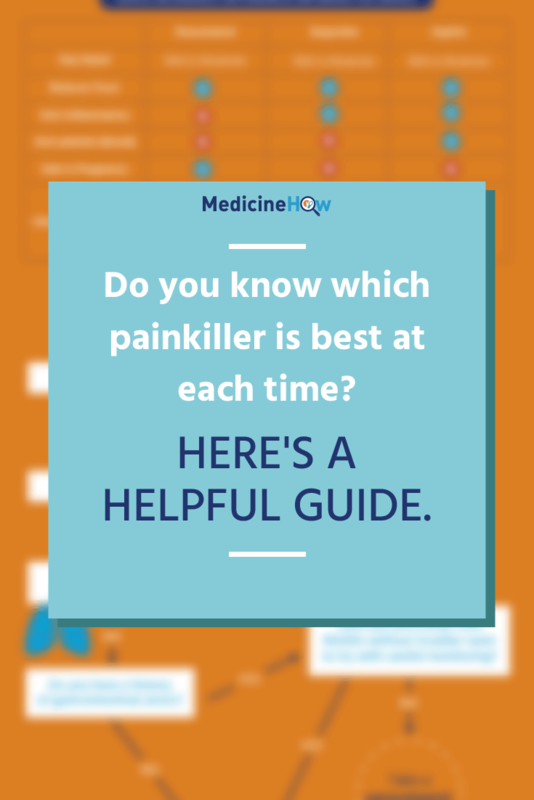 What are the main differences between painkillers? 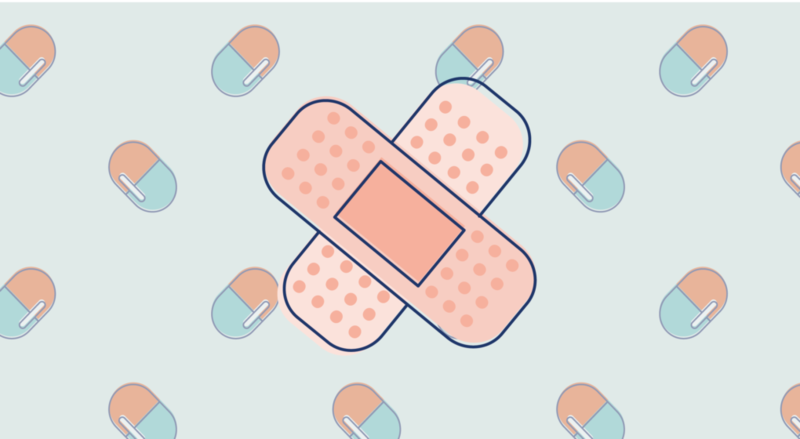 Okay, so we’re not going to go into all painkillers in this post, we’re just going to focus of three of the most common: paracetamol, ibuprofen and aspirin. Considering how widespread the use of paracetamol is, it may come as a shock that no one is exactly sure just how it works (read here). The way I like to envision it (and this is in no way scientifically proven) is that paracetamol stops the “message” of pain reaching our brain. Say we sliced open the end of our finger, for example, and the poor little nerves are feeling a little cut up, so they send SOS messages of pain to the brain. Paracetamol interferes with the message just before it gets to the brain. In this way, it can stop pain messages from all over the body because it acts centrally near the brain. Despite our uncertainty about how paracetamol works, it has been used by enough people around the globe for us to have a very good idea of the effects of using paracetamol. On the whole, it is very safe – in children, in pregnancy, in the general population. The big downside is what happens to the liver if we overdose on paracetamol. Usually, paracetamol is processed and broken down in the liver but when it is overloaded, toxins (aminotransferases) cause damage to the liver. Therefore, we need to be careful never to take too much paracetamol. Many other medications (such as cold and flu medications) contain combinations that include paracetamol so you should always check that you aren’t doubling up on doses without realizing. Read more about how paracetamol works here. Ibuprofen is a little bit different to paracetamol in that it works directly at the site of action. Usually, something called prostaglandins are produced when there is tissue damage and these instigate inflammation, a rise in temperature and pain in order to begin the healing process. Ibuprofen stops the production of prostaglandins so that they can’t work their effects properly. This can be a positive and a negative thing, depending on the situation. Period pain, for example, is very uncomfortable in part due to the abdominal inflammation. This inflammation is not necessary for the healing of the wound, thus an anti-inflammatory such as ibuprofen can stop the pain, and “treat” the pain by reducing the inflammation. On the other hand, inflammation is sometimes necessary for the body to heal properly and we would do better to avoid using an NSAID like ibuprofen. For example, in the 1-2 days after a sprain or muscular injury the body works to heal the tissue and the inflammation helps this process (read about this here). There are more potential side effects with ibuprofen than with paracetamol. This, more than anything, means that we need to be careful with its use and take it in the right way at the right time. For example, ibuprofen use is a common reason for getting ulcers in the stomach or gastrointestinal tract, but the risk of this can be reduced by eating some food before a dose of ibuprofen to protect the stomach. Additionally, ibuprofen can cause constriction of the airways, which can be particularly bad for asthmatics. For this reason, people with asthma should avoid or take ibuprofen with caution. Read more about how ibuprofen works here. Aspirin was the first of the painkillers to be discovered and has been in use for over 100 years, so we have a fairly good grasp of how it works and how it affects users. It is the same type of drug as ibuprofen, an NSAID, and, therefore, has similar effects. Again, it should be taken with food and asthmatics should be careful and monitor for side effects. It is different, however in that it also has an anti-platelet effect that affects the ability of the blood to form clots. This means that if there is a blood wound in the body, it will take longer to stop bleeding. Read more about how aspirin works here. So what can we get from all this? 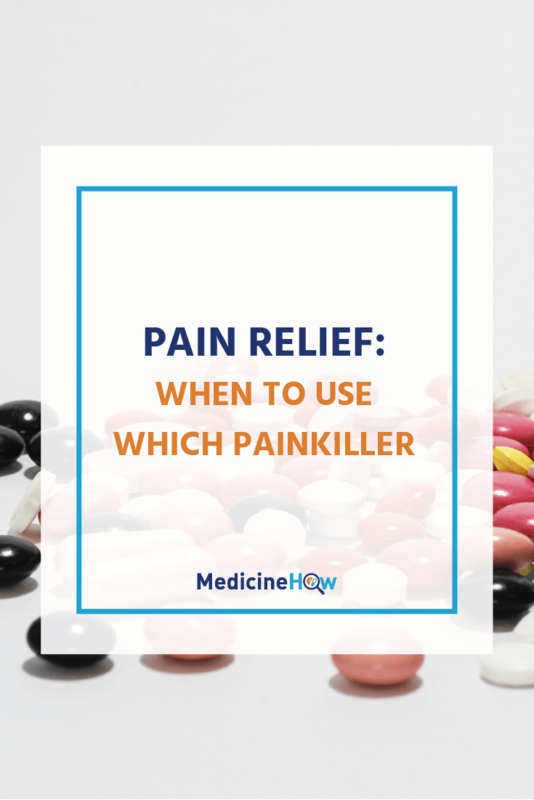 Each of these three painkillers – paracetamol, ibuprofen and aspirin – can relieve mild to moderate pain and reduce fever, it is the other particular characteristics about the drugs that will lead us to choose one over the other. Paracetamol is the option that carries the least risk, so the one I would reach for in a moment of doubt. The only thing you need to be concerned with when taking paracetamol is taking too much – so always check that other medications don’t contain combinations with paracetamol. Ibuprofen and aspirin are useful when reducing inflammation will assist in reducing pain, for example with period pain. Of the two, I would usually choose ibuprofen over aspirin as it doesn’t have a risk of bleeding – but this is an individual choice. 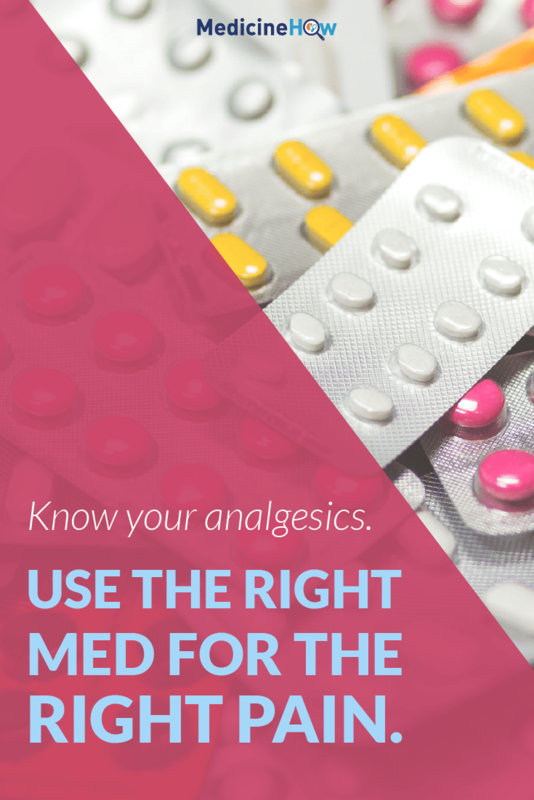 With both of these medications, you should make sure to have some food in your stomach when you take them. Here’s a simple question guide to what pain relief I would take as the first option in different situations. This doesn’t mean it is the only option, just the best option, in my opinion. If you have any questions about why I would choose one drug over another, let me know in the comments and I’ll do my best to explain. In the end, though, any study is trumped by your personal experience – if something works for you, stick with it. What do you find works well for different ailments?